Three years ago, an anime called Persona 4 the Animation was created based off the popular Playstation 2 JRPG and Dungeon Crawler game Persona 4. It was well received and the wild popularity of the game's award winning and critically acclaimed PS Vita remake Persona 4 Golden left fans wanting more. Persona 4 The Golden Animation revisits the series and it's story again, this time with a special focus on the new characters and content from Persona 4 Golden. In it's attempt to get to Golden's content on screen as much as possible, to a viewer of the old Persona 4 the first episode felt action packed but I was left wondering how a new viewer would react to the show's pace. The anime starts in faithful, Persona fashion by beginning the protagonist's story at the Velvet Room. After this, the opening movie brightens up the show with colour and players of the game will instantly recognise the opening song and visuals from the opening screen of Persona 4 Golden. As I am a fan of the game, I was delightfed to see how the opening movie showed off all of the social links from the game and this partnered with the familiar visuals gave an authentic feel that I'm sure other fans would also smile about. 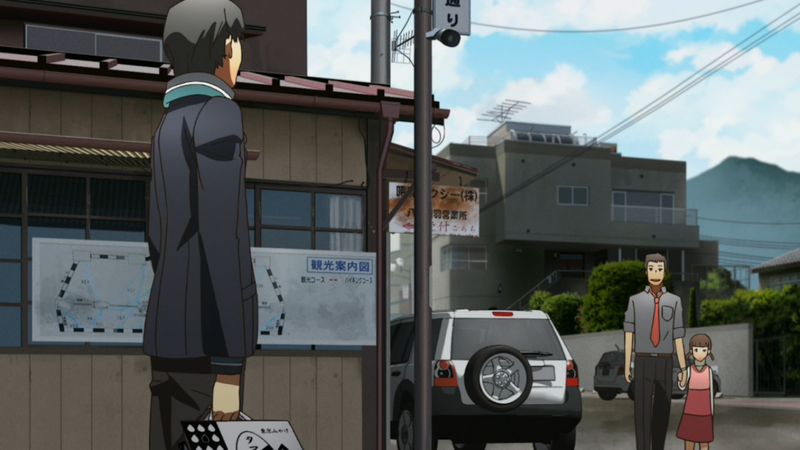 After the opening scenes, we are introduced to the town of Inaba, which barely gets a mention of being a small town. Then the unofficial star of this anime series is introduced. This introduction is clearly a big deal - there are flowers floating in the air, hair and paper running through the wind and Yu stopping in his tracks. It's Marie time, albeit introduced in a kind of cliche way. Thankfully Marie breaks this cliche by giving Narukami some attitude and the slightly romantic feel disappears. Even with it's weird romantic feel, this scene was beautifully done with gorgeous art and complimenting sentimental music. Definitely a nice way to welcome this new character to the anime. Then the episode goes from slow and sentimental to absolute full speed ahead. In a span of 8 minutes, we meet Marie, Yu meets Dojima and Nanako, goes to school and makes friends, watches the Midnight Channel, puts his hand in the TV and then enters the TV world from Junes with Chie and Yosuke. The cool thing about this extremely fast pacing is that if you've seen the original Persona 4 the Animation, the first episode of this new Persona 4 Golden anime sets it up to feel like a 'New Game Plus' run through of the show. It skims over the things we've already seen and places it's focus on the new stuff. New fans will still enjoy the show, but should be prepared to miss out on some of the story's details. This is a little bit of a shame, as Persona 4's story has many details. For example, in this episode we don't get to meet the girl Yosuke has a crush on or the creepy guy who talks to Yukiko outside of Yasogami High. These might details may sound minor, but the story's plot becomes deeper when you know about these things. For anyone without that knowledge, I can't help but feel that new fans will be left feeling perplexed from this pacing and may possibly benefit from either playing the game or watching the original anime first. Despite my criticism of the pace, I keep reminding myself that Persona 4 Golden is an extremely large game to fit into any kind of shorter medium and the show is certainly still enjoyable despite this. What I did enjoy in contrast is how Persona 4 the Golden Animation does manage to spend time it's time with Golden-specific content smartly. 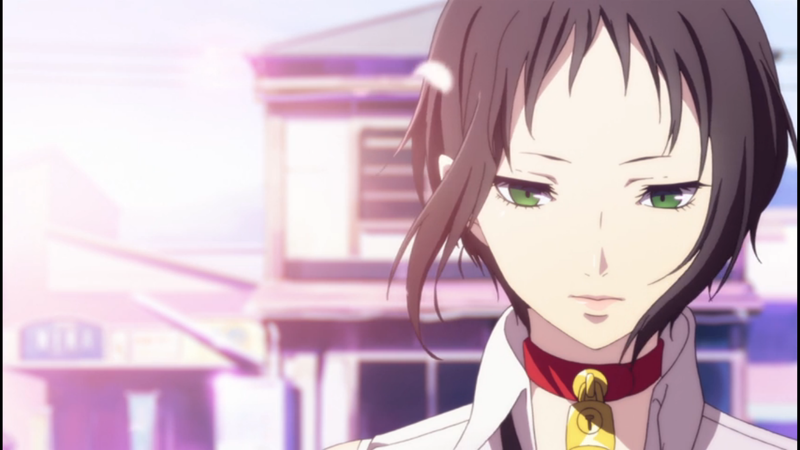 By intertwining Marie's story with Persona 4's original story, we get to know her story while still getting an introduction to the original story. Despite Marie being inside the TV being a small scene, I enjoyed how the anime managed to explore her journey to the Velvet Room a little deeper than the game did. The visuals of the show are noticeably improved when viewed against the old anime. I always felt that some of the old anime's visuals looked lacking in detail and I'm glad to see Persona 4 The Golden Animation has definitely improved upon this. 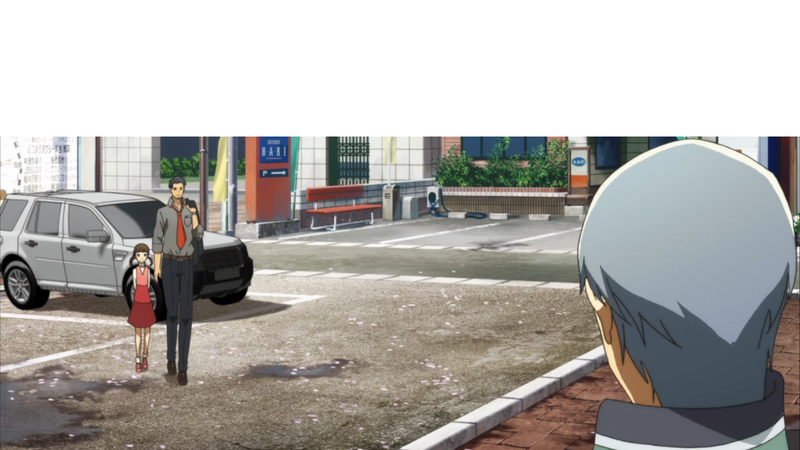 Using the photos below as an example, little details such as thinner lines, Dojima and Nanako's more precise facial expressions and things such as the pockets on Dojima's pants or the loops in his belt buckle might sound unimportant, but their inclusion make the show's animation look much more polished. An epic action scene with the shadows and Izanagi really shows off what the improved visuals with lots of lights, bright colours and even Shadow monsters that look 3D at times. Persona 4 The Golden Animation's visual update and new elements to Marie's story served it well, even if they missed out on a few details. "The Golden Days" was a fast paced episode that sets up Marie's character very carefully, although sacrifices some of Persona 4's original story to do so. For an anime based off a video game, it's first episode has done a good and entertaining job fitting a large story into 24 minutes. Fans of the series will no doubt enjoy seeing their favourite Persona 4 characters again with added story content. 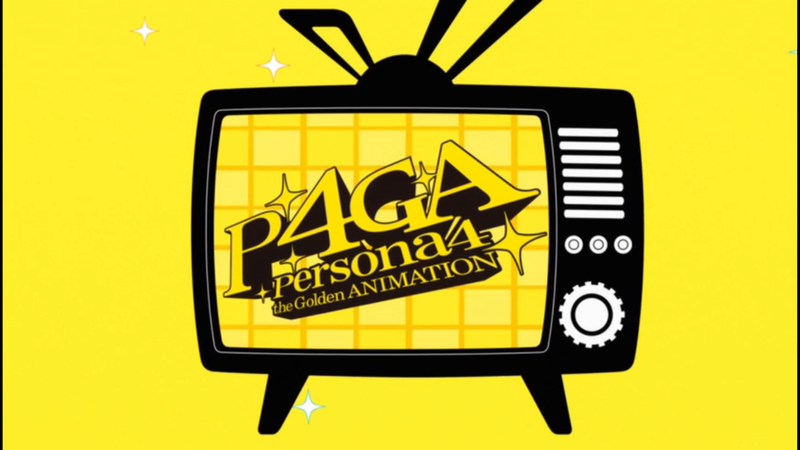 Episode 1 of Persona 4 The Golden Animation is available now to members of Crunchyroll's Anime Streaming Service. If you're not a member, you can either wait till next week to watch it for free or purchase an ad-free monthly membership. Persona 4 The Golden Animation is also stream-able via Aniplex, Hulu and Daisuki. Read more about Persona 4 on JRPG Jungle!